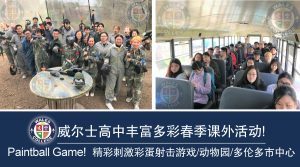 The College provides a full range of extracurricular activities, including, sports, drama events, camping, skiing, traveling, and educational expositions. These activities assist in advancing student understanding of Canadian culture. 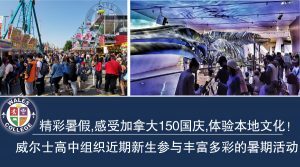 Wales College provides students with services such as airport pick-up and accommodations including home-stay with Canadian families, which greatly assist students to become quickly familiar with the Canadian way of life and improve their English abilities. 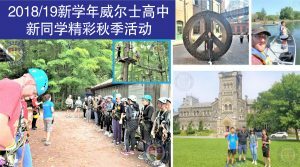 Unlike that in other international high schools, over half of Wales College’s students are Canadian high school students, creating such a diverse and English-speaking environment for international students to learn and adapt into Canadian culture. 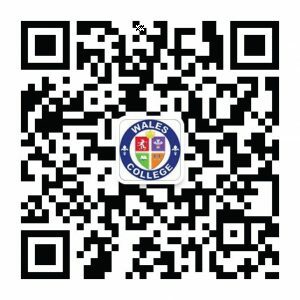 Wales College staff assist students to apply for the extension of student visas and visitors’ visas for parents to visit Canada. The College arranges for university admissions staff to visit with the students at least twice a year to provide seminars and other information regarding university programs and admission details. 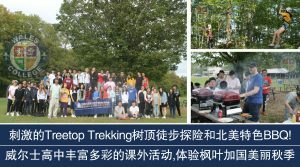 2017 Treetop Trekking and BBQ! 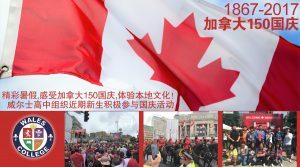 July 1, 2017 Celebrating Canada’s 150 Anniversary. Visiting Toronto Zoo. 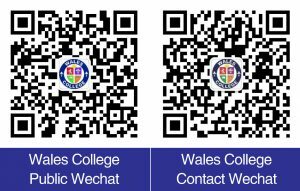 For more exiting activities in Wales College, please scan the following our public Wechat.